I have learnt my lesson. (grin) No more quizzes for me. Either I am asking the weirdest of questions or the idea of my writing a post for the winners did not hold appeal. Or both. In any case, the people who did respond frankly confessed themselves non-plussed at most of the questions. Ah, well, you live and you learn. 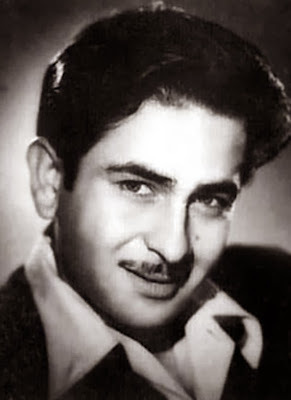 So, out of the 63 responses I got for the quiz, most of them got the answers wrong, but they loved Raj Kapoor, and enjoyed his movies, and knew some of their answers were wrong. They still wanted to participate, and hoped I would tell them more about him. Thank you so much for reading, and taking the time and effort to write to me. It is always nice to hear from my readers. Fellow-blogger and online friend Harvey sent in his answers yesterday. Actually, he had more questions than answers, but he also made a game effort, and succeeded in answering two questions and one bonus question correctly for a score of 6 out of 25. He also answered Q.7 - his answer was 'Comics', which is partly correct, so he gets a point (out of the possible two). His final score: 7/25. Coolone, a regular reader, who was one of the first to send in the answers to the quiz, answered 5 questions. Only the answers to questions 1 and 4 were correct, and half of the answer to the bonus question on Awara. She scores 5 out of 25. Readers Sharad, Abraham and Roshni get an honourable mention - they tried hard, they tell me, and each made the case that I had made the quiz very, very difficult. Funnily enough, they each got one question and part of one bonus question right. The same question and the same bonus question. Please email me with your requests for a post of your choice. I'd be glad to write one for each of you. 1. Which film of Raj Kapoor's was originally named Gharonda? Bonus points for answering who the original cast was supposed to be. Soon after they acted together in Andaz, Raj Kapoor wanted to begin a film, Gharonda, with the same cast - Dilip Kumar, Nargis and he. 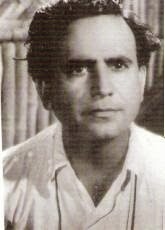 Dilip Kumar demurred - he would act provided Raj did not direct the film. 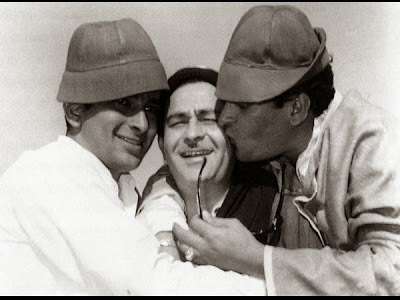 Best of friends though they were, Dilip was insecure about his role getting the short shrift if Raj Kapoor was also the director, especially since his role was secondary. Raj Kapoor eventually made it years later with Vyjayanthimala, and another good friend, Rajendra Kumar. 2. Raj Kapoor and Alfred Hitchcock once filmed the same novel. Which RK film was it? And which novel was it based on? Ans: Sangam again. 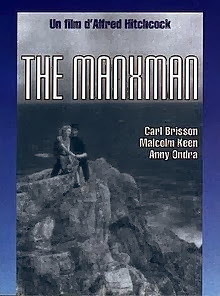 It was based on an 1896 novel by Hall Caine called The Manxman. Alfred Hitchcock's 1929 version of the film (it had been filmed earlier - in 1917) was his last romantic film in the silent genre before he switched to the talkies and suspense. Raj Kapoor, of course, only adapted the bare bones of the novel, shifting the focus to the friendship between the two men, and definitely adapting the heroine's character to a 'more-palatable-to-Indian-audiences' version. 3. In many RK films, one came across a character named 'Gopal'. Who was he named after? Ans: The real Gopal was Raj Kapoor's driver of many years. Gopal was more than just a driver to Raj Kapoor, he was caretaker and family. So was John, the cook in the RK cottage, and Revathi, his personal assistant. He was also close to the staff of the little restaurants near RK studios. He certainly knew them all personally. Ans: Kidar Sharma. RK began his career as a clapper boy for the ace director. On the sets of Vishkanya, Kidar Sharma was hurrying to shoot a closeup of the hero as the sun was going down. Young Raj apparently always combed his hair and posed in front of the camera before sounding the clapping board. In his hurry, he caught the hero's beard between the clapper board and it came off. Furious, Kidar Sharma slapped him in front of the whole unit. However, it was Kidar Sharma who promoted him to assistant director, and launched him as hero in Neel Kamal the very next year. 5. Which film saw the young Raj Kapoor face the cameras for the first time? Ans: His father's film Inquilab, in 1935. Ans: Mehboob Khan. Writer KA Abbas had originally peddled the story to Mehboob Khan. He also wanted Ashok Kumar as the self-righteous judge and Dilip Kumar as the wayward son. Mehboob Khan and he had a disagreement over the casting; eventually, Abbas withdrew his script from Mehboob Studios and Raj Kapoor stepped in. It is another matter altogether that Abbas still did not get his dream cast. 7. Shammi Kapoor was known to be a voracious reader. Not so elder brother Raj, whose preferred reading was much lighter. What did he like to read? Younger brother Shammi, on the other hand, only dated women with whom he could discuss books. (He was a voracious reader, and read even on location.) His wife, Geeta Bali, who was unlettered, loved to hear him read loud to her, and he did so willingly, a chapter a night. Her favourite was Alexander Dumas' Camille. She apparently cried quite a bit as the story progressed. 8. Which was the first RK film to be shot in the then-newly-built RK studios? Ans: Awara. Raj Kapoor had begun shooting Awara in another studio; they shot for 13 days when he was told that he had to stop shooting because the studio had been hired by some other production team. The super success of Barsaat had given him the financial means and he decided to build his own studio. 9. Which RK film was the first to have two intervals? Ans: Sangam. The original film was almost four hours long. Later, Mera Naam Joker would repeat the twin interval format. Ans: Idlies. He also loved Khurjaon, a Peshawari way of making fried eggs by breaking it open over a slice of bread and then frying the whole thing. He would often come back from parties, having pretended to nibble on the rich food, and make Khurjaon in the middle of the night. Unlike the other Kapoors who, according to Randhir Kapoor, 'live to eat', Raj Kapoor ate very spartanly. While he preferred to stick to pao and eggs with a little dal at the table, he insisted on an overflowing table, and was himself an excellent cook who loved to whip up Yakhni pulao and chicken curry. Actress Simi Garewal narrates how, on location for Mera Naam Joker, he had woken up early much to the unit's dismay (he never woke up early) and made over 200 omelettes - for the entire cast and crew. One of his most endearing qualities was that he ensured that every crew member, down to the lowliest spot boy, had eaten before he ate himself. Did I say I wouldn't post another quiz? Hmm... I have a lot of weird trivia floating around in the empty space I call a brain, so perhaps one day, when my last brain cell gives up the ghost and I run out of ideas for a post, I will post another set of questions for my readers to worry over. After all, it's never good to state 'never'! Merry Christmas to my readers who celebrate the festival; I wish good luck, good health and good cheer to everyone. Have fun, drink responsibly if you do at all, drive safely, and here's looking at a great year ahead for everyone. * Many thanks to 'Shammi Kapoor Unplugged' and Madhu Jain's 'The Kapoors' for some of the tidbits. I hope you are NOT really disheartened by (lack of quality) response to this post and go ahed to make a Bobby after Mera Naam Joker! There are bound to be some creations which may appeal a certain 'class'. But that does not take away the credit of the creation..
Ashokji, that's a good one! :) Thank you. Thanks for the interesting trivia about Raj Kapoor.Raj Kapoor loved to read Archie Comics? 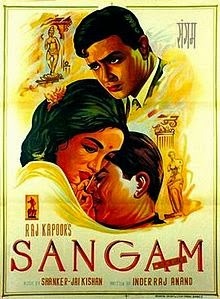 (I too :) ) .I never knew that Sangam had two intervals. The name Gopal always conjures up an image of Rajendra Kumar before my eyes! You make an excellent quiz master,don't give up hope:it really enlightened us about an unknown aspects of the great showman. Once again a merry Christmas and happy new year to you! Thank you for your kind words. :) The response to the quiz was so overwhelming (not!) that I was pretty discouraged. But hey, as I said, I'm always allowed to change my mind. So did I. Love Archie Comics, I mean. :) Merry Christmas to you too, coolone, and please email me with your request if you want me to write about something in particular. Ah, that was so much fun, Anu! As I'd guessed, I didn't know the answers to any of those questions, so it was just as well I didn't try maaroing any tukkas! :-D Actually, the one thing I'd made a tentative guess at - RK's favourite dish - also turned out to be wrong. I'd thought it might be dal makhani (I have a recipe for the version which RK liked - 500 gm of butter for 750 gm of raw daal, but even made with 1/20th of that amount of butter, it's delicious). This was very enlightening. Thank you! And do post that other trivia quiz sometime. :) Now I want that original recipe for dal makhani! Send it to me please (with your variation, as well). It was interesting to read, actually, that the man's tastes were very almost spartan in their simplicity. One had this vision of all the Kapoors eating lavishly of rich food at every meal. From what I heard Randhir Kapoor say in an interview, the rest of the Kapoors seem to follow that principle. I won? Yaaaaaay!!! Yes, you are right, my dadaji did help! He will be so happy to know that. I was at my other grandfather's place and didn't see this post until today. Yes, I will email you with a request for a post and I know just the one! Thank you, thank you, thank you!! Thanks, Madhu, will try it out, though the amounts of butter used is alarming, to say the least. I don't need any more help in putting on weight! :) Your version sounds much better! Thank you, Salim. Welcome to my blog, and i hope you are here to stay. NO! Say that's not true! No more quizzes! Kyun, aakhir Kyun? I hope you think your plans over. I came second! Wow! but 6 out of 25 is bad! In fact some internet research gave me the correct answer to the reason behind Kedar Sharma's slap, but I thought that it would be in a bad spirit to correct the answer afterwards. Though I think the audience sympathy was with the character of Rajendra Kumar, he got only one romantic song, the major part of the film focused on RAj Kapoor. No wonder, Dilip Kumar was wary of the proposal. The second answer makes me want to watch The Manxman. It is sure to be on youtube. Raj Kapoor's camaraderie with his staff WAS legendary! I thought his first film was not Neel Kamal, otherwise you wouldn't ask the question. On this basis Randhir Kapoor faced the cameras for the first time for Awara. :) So did he have a role in Inquilab or was it just a minor appearance. I can imagine Mehboob Khan directing Awara. Would have turned out something like Roti! But Ashok Kumar playing Dad to Dilip... ? He would never have accepted that role at that time. So Shammi K was reading Camille in Punjabi/Hindi to Geeta B? You were right in not awarding me points for the two interval question. I mean, nexttime I would be sending you a list of his filmography for every "which film...?" question. Jingha Curry, I think was the dish for special guests at the RK home or what the guests thought was special. I have heard Suresh Wadkar, Dimple, Padmini K and some more always say, "The RK doors are always open for me, everytime I go there Krishnaji says 'jhinga curry banao'"
So, I hope your 'last brain cell gives up the ghost' soon and a quiz comes up here! So what do I get as an award. I was a little busy so have come here late, that was quite interesting, some of the trivia I already knew. May I add some more, that bit about his favourite food being idlis, you see once I was watching this programme, it was about Raj Kapoor, the television camera was sort of following him around. He had this favourite restaurant in Chembur, where he had his fill of idlis. He had given a plate and small bowl with his name inscribed on it to the restaurant with the instruction that he was to be served in only that plate and bowl. He did have a very caring nature as is evident from what you have mentioned about him taking care to see that everybody had eaten. My father too had the opportunity of experiencing some of his goodness. He was keen to take my father for the role that Raj Mehra played in JDMGBH. When my father met him, he was surprised to see how young my father actually was, I guess till then he had only seen my father on screen, so he realized my father would not suit the role. My father used to say that the way he welcomed my father and throughout their meeting, my father who was then almost a newcomer,got the feeling that he was the great Raj Kapoor while RajKapoor was the newcomer Tarun Bose. My mother used to tell us about this wonderful experience my father had. Yes, I asked that myself. Many times. Thank you for reading. Harvey, oh, I'm so glad you are back commenting. You make me laugh! And not even your remarks about Sangam are going to make me angry with you. :) Besides, Sangam underwent a complete change of focus once the years passed and it was Rajendra Kumar instead of Dilip Kumar. He was a junior hero, unlike Dilip. I think the film would have been better with the latter, not only because Dilip was a better actor than Rajendra Kumar, but also because the story would have been better balanced between the two. What do you get as a reward? Oh, Harvey, Harvey, you really do not read the post, na? :( I said I would write a post for you. So email me with your request, please. What a nice introduction to RK for your father, and of course, it is nice for me to hear such nice things being said about a man I admire. Thanks once again. You know, that is an idea. When you finish writing about your father's films, it would be nice if you shared what you know about his interactions with others in his fraternity? *grin* No one seems to have been able to answer any of the questions, Shalini, so you are not alone. Yes, it was surprising to me too that RK wasn't a great eater himself. Apparently, he preferred to feed others. And yes, probably the booze is what did it, apart from sheer genetics. 'Yakhni' pulao is so called because it is cooked in meat stock (yakhni). Funnily enough, it doesn't have any yoghurt at all. I looked it up a long time ago when I was looking for recipes for some party we were having. I'm a vegetarian, so I really need recipes for non-veg dishes. I would love to but unfortunately I hardly got to spend much time with him. The first few years I was a kid, just as I was growing up my father suddenly passed away. Most of what I write is what my mum told me, and also what my brother shares with me. In fact it was my mum who told me about my father's pleasant experience with Raj Kapoor, I was almost an infant when it happened. My memories are few, but yes, in my final post I would like to write a bit about his interactions with his colleagues. Oh... :( Well, we will have to make do with whatever you remember then. Do keep writing, Shilpi. Of course I read your post, it is just that I keep on forgetting. In this special case, I just needed a reassurance. You'll get my request per email. *grin* You will get all the reassurance you need. Send me your request and I will write you a dhamakedaar post. I also like RK , and learned some things about him. Btw, Is there any post in the greats, etc.for Dadamoni Ashok Kumar? I have been watching many of his films and think he was better than the big 3 of the 50s as an actor. He also did a LOT of masala films in his later career and wasn't a 'benign dad' that he has got slotted in. No, I haven't written anything about Ashok Kumar yet, and while he's on my list of people to write about, 'm glad you reminded me that he deserves a post - and soon. If you have the time, please visit my blog. I cannot offer you 'virtual chai', but I hope you will enjoy the experience. Thanks, RS. Truth to tell, I didn't think they were tough (probably because I knew the answers! *grin*), but the responses (or non-responses) told me much. 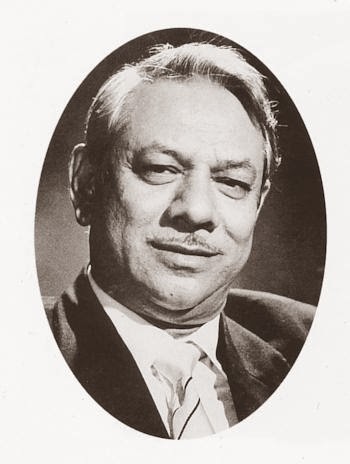 I did visit your blog the other day to take a look at the Mukesh songs; didn't have much time then to actually read the posts, so I bookmarked the blog and left it for later. :) I will check this one out when I have some spare time. :) Yes, I guess I am. After watching Teesri Kasam Satyajit Ray had said that it was a shame that Raj Kapoor had diverted his talents to behind the camera. I've watched Dastaan and Bawre Nain, not Gopinath. Shall try and source that. Thanks. RTG, welcome to my blog, and I'm glad you decided to come and join my family of readers after all. Your enthusiasm cheers me, and I appreciate the hours you have no doubt spent reading all my posts. :) Finally, a blog is what the readers make it. So, thank you very, very much. And I also remember watching an interview where Lata M. was describing her favourites. It seemed that all songs of Paakeezah were her favourites. My favourites from Pakeezah would be Thade rahiyo and Chalo dildaar chalo *if* I had to choose. I like all the songs, actually. what an incredible friendship. You are so blessed to be basking in the warmth and love from another family. Those are the times of our lives to be cherished. My heart goes out to both yourself and Asha's family. Anu, could you do one blog for Asha? I think she is equally deserving of that honor. Also, if I may, I would add Aaja piya, tohe pyaar doon from Baharon Ke Sapne and Tere bina jiya jayena from Ghar (both RD compositions) to this list? Or do they not make the cut in your opinion? The only reason I did not add Lata's songs for RD is because, *usually*, I do not go beyond the mid-60s for my lists. There is no song that does not 'make the cut' unless I have a very specific theme. I love the songs from Ghar, as also the ones from Baharon ke Sapne. In fact, Chunri sambhal gori from that film is one of their best collaborations (in my opinion).